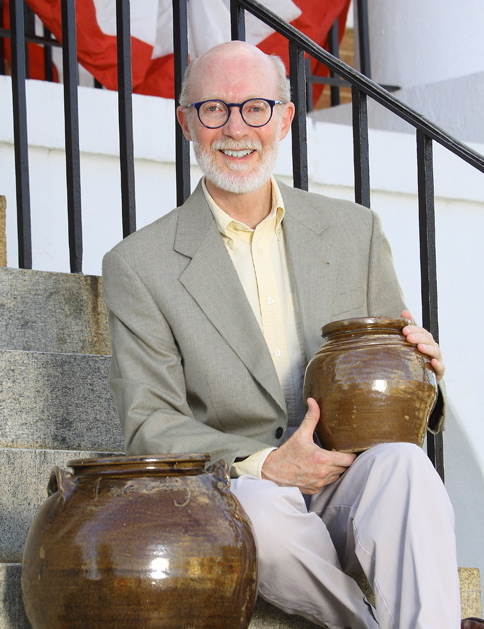 Leonard Todd is the author of Carolina Clay: The Life and Legend of the Slave Potter, Dave. When Todd discovered that Dave, a now-celebrated slave artisan of the antebellum South, had been owned by his family, he traveled from his home in Manhattan to South Carolina, where he sifted through records of slavery, rebellion, and war to uncover the stirring story. Todd's book on Dave, published in October 2008 by W. W. Norton, became a finalist for the National Award for Arts Writing. It won the South Carolina Center for the Book Award for Writing. Newsweek called it "a fascinating account." Publishers Weekly described it as "a sweeping tale of the South itself." Since the book's publication, Todd has spoken on Dave at many cultural venues, including the Smithsonian Institution, the Atlanta History Center, The Museum of Early Southern Decorative Arts (MESDA), and the Decatur Book Festival. He has been a guest on NPR's "Weekend Edition," "To the Best of Our Knowledge," and "The African-American Literary Review." He has spoken in England at Harris Manchester College, Oxford. Todd is also the author of Squaring Off, a novel for young adults, published by Viking Penguin. It was named an Editors' Choice by Booklist and optioned for a feature film. An earlier young adult novel, The Best Kept Secret of the War, was published by Alfred A. Knopf and optioned for a television special. Both books were set in areas of the South that Todd knew well when he was growing up. Other fiction publications include short stories in Cosmopolitan and elsewhere. An original screenplay, Honkytonk, was optioned for a movie musical. His nonfiction publications include Trash Can Toys & Games, a recycling book for children, published by Viking Penguin. Prototypes of the toys he designed for the book were exhibited at the American Museum of Natural History in a long-running show. He has published articles in Travel & Leisure and other travel publications. He has covered architecture in Mexico, oysters in Ireland, golf in Morocco, and beaches in Greece. Todd was graduated from Yale College and from the Yale School of Art and Architecture. He is a former Fulbright Scholar to France. He has been a resident at the Virginia Center for the Creative Arts and the Cité Internationale des Arts in Paris. In addition to being a writer, he is a graphic designer and a painter. After many years in New York City, he and his wife, poet Laurel Blossom, now live in Edgefield, South Carolina. Photograph of the author in front of the Edgefield County Courthouse by Brook Facey.